Our Open Innovation team in working to upgrade and enhance NASA’s efforts to meet the White House mandate to set our data free – in a format that is most useful for you. In doing so, we hope to spark your creative juices and equip you with tools to innovate your world – whether local, global, or interstellar – leveraging our digital assets. We may not be able to offer you the ride-of-your-life on a spaceship (at least for now), but we can certainly work together to solve looming challenges here on Earth – using NASA data, tools, and resources. 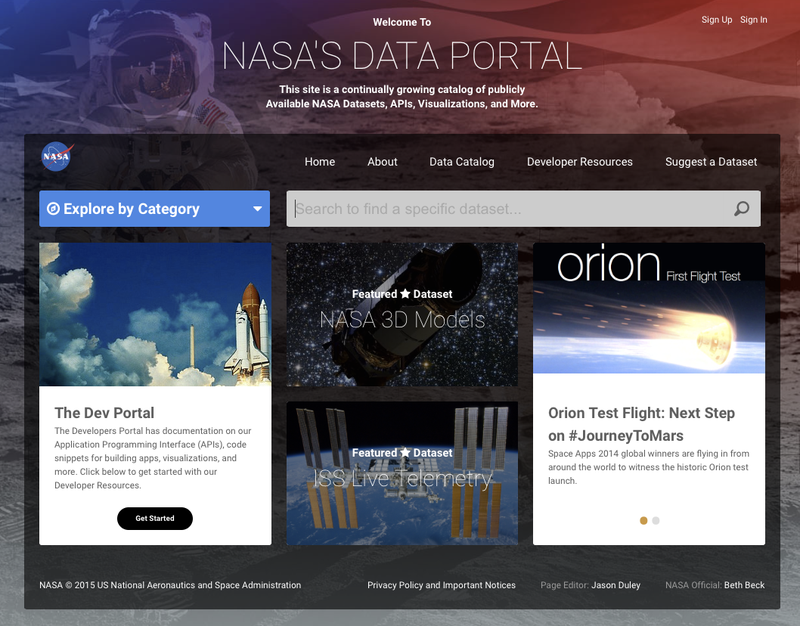 We’re debuting our new Data Portal which will have featured datasets, and allow you to explore data by mission categories. 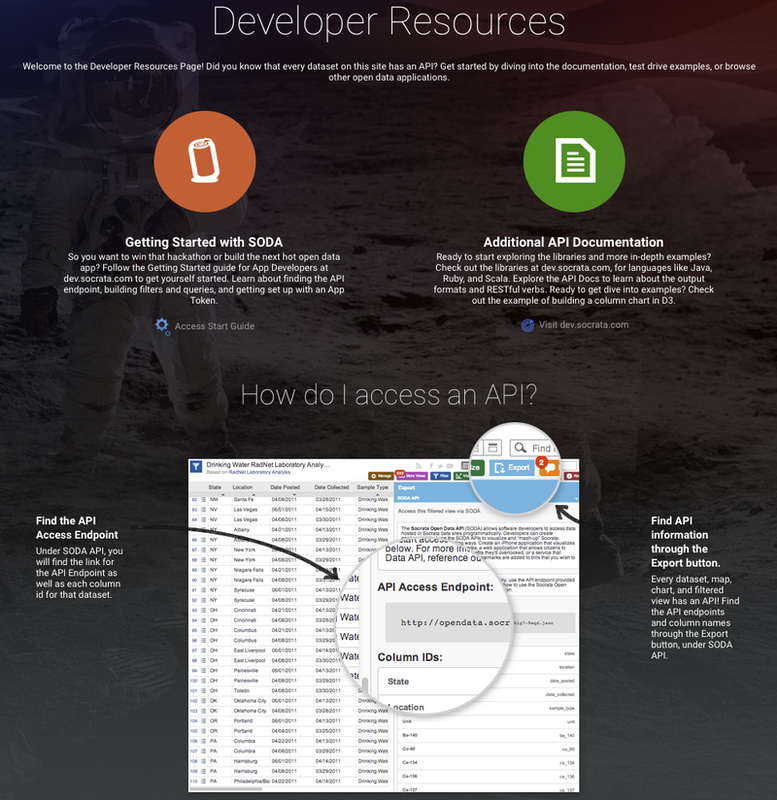 You can explore the Developer Resources page to learn about how to use APIs — from finding the API endpoint, building filters and queries, and getting set up with an API token. You can search and sort the datasets. In addition, you can suggest datasets for inclusion in our data catalog. We love to hear your comments. Feel free to comment to this post or send us an email: nasa-data@lists.arc.nasa.gov.